A mouthguard is a removable shield worn over your teeth to protect them and the jaws from traumatic injury during sporting activities. Mouthguards should be worn during any sport where there is the chance of a knock to the face. It should be worn during the game as well as training sessions. We are able to provide you with three grades of mouthguards depending on the type of sport you play and the level of impact expected. 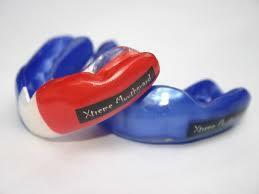 Your mouthgaurd will be individually made to fit your mouth and come in a variety of colours.